All organisers are responsible for ensuring that all members of their party are aware of these rules before their arrival to Atherstone Golf Club. Payment for all golf must be made to the clubhouse before commencing play. All players are expected to adhere to the rules of golf and have regard for the etiquette and courtesies of the game. 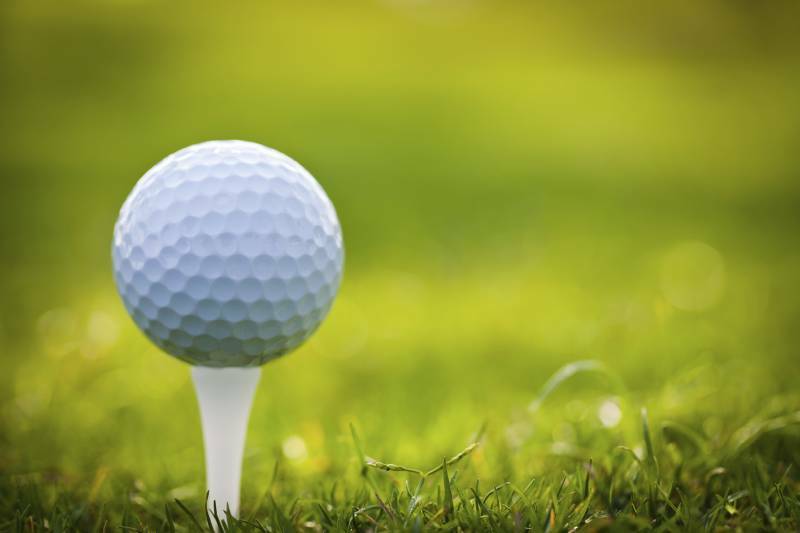 Consideration should be given to the care of the course so ensure that all divots and pitch marks are repaired. On the golf course you are expected to wear golf shoes and socks. In hot weather, smart tailored shorts will be permitted. ¾ length trousers with drawstrings and toggles or "beach type" shorts will not be allowed. Golf shoes are not to be worn in the clubhouse and these should be changed in the changing rooms and not the car park. 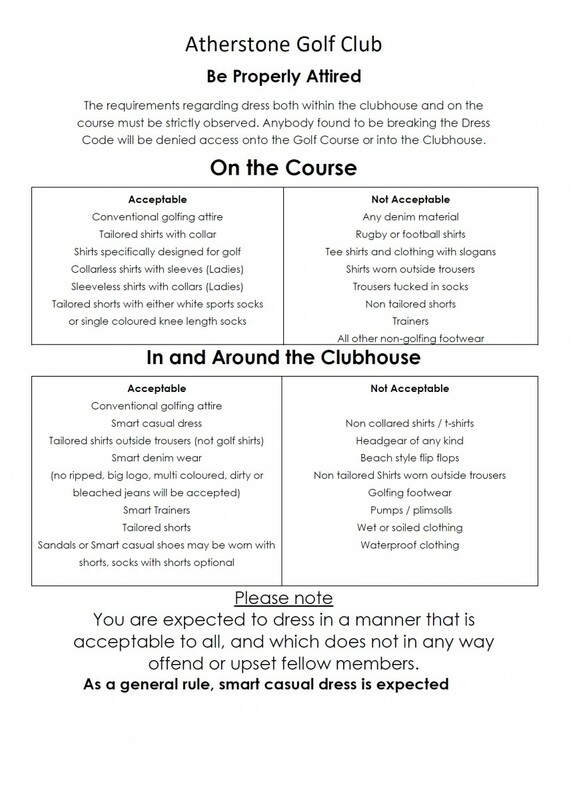 Please make all of your players aware of the very strict dress code as we will not allow them to play if they do not conform to what is stated.